It’s been quiet here lately, as I forecasted a week or two back. Will be for a while longer, too. But I was able to download the latest X-Plane 11 beta yesterday (Laminar continues to make updates on a frequent basis) and the forecasted changes to better use multiple cores, process the car traffic, etc. seem true. I was able to get 30+ FPS in Los Angeles with max autogen and ortho scenery, and that’s with all three screens running. No stutters. This was very impressive, and I imagine the optimizations will only continue over the next few years. I got checked out in this sweet and classic Cherokee today. 20 more horsepower and stubby Hershey-bar wings. It was a lot of fun to fly. 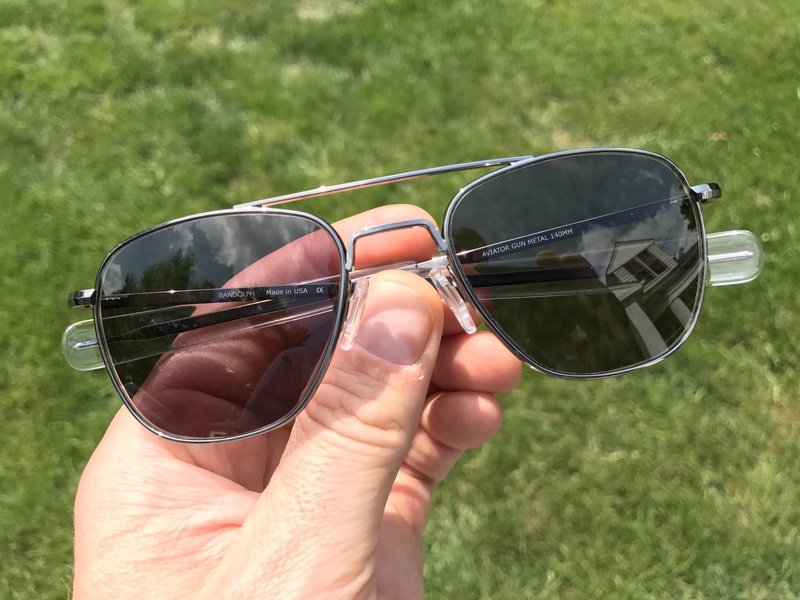 Early in the process of my real-world flight training I promised myself that when I soloed I’d spring for a pair of Randolph Engineering aviator sunglasses — the same kit U.S. military pilots wear. 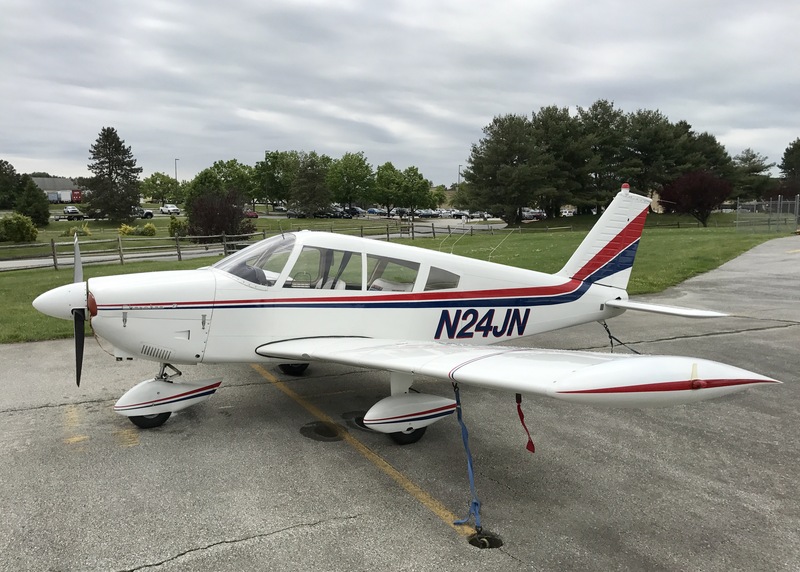 Regular readers know that while my CFI said I was ready to solo last August, because of a delay in my medical from the FAA and other interruptions I didn’t solo until this past March. So while I was ready last year, a promise is a promise when it comes to those sunglasses. I know posting has been a bit slow here recently, but real life has me very busy and it’s probably going to be like this for a few weeks as I prioritize family, work, and real flight training ahead of the sim. I also know folks are looking for the “Building Your Basement Sim” guide, and it may now be a while (weeks or a month or two, not years) until I finish it — it really is nearly done. In the meantime, if you are beginning or just starting a build, please email me at ontheglideslope at gmail dot com and I will see how I can help as I don’t want to hold people up from getting started. So thanks for your patience. If it’s any small consolation, I did complete my first unsupervised solo today after six prior weather cancellations. It’s still a bit odd that they just give you a key and let you take an airplane, but so they did. A short hop today, as the winds were close to my minimums and it was really pretty bumpy up at 2,500 AGL (on one jolt I actually bumped my head on the top of the cabin). So I cut things short and headed back to the barn, but the flight was exciting, I’m glad I got the experience, and I did shoot this short vid heading back to parking.